Keep their head up to see teammates. Protect the ball from the defense. A small area to dribble. You don’t need a basketball hoop, a teammate to pass you the ball, or a fancy basketball gym with perfectly polished hardwood floors. In the steps below, I’ll teach you the best way to dribble a basketball and also give you several dribbling drills to practice as well. The first step in learning how to dribble a basketball is to relax your fingers and make sure they’re spread out evenly on the basketball. Young kids have a tendency to keep their fingers together unless they’re taught otherwise. Spreading your fingers out increases the surface area and gives the player more control. Which results in players ‘slapping’ at the ball. It’s important players get comfortable relaxing their hands and fingers. This results in a bunch of 5-year-olds making a claw shape with their hand, bouncing the ball with the top of their fingers, and then wondering why they can’t dribble. But it’s the fingertips which control the basketball. All players should be bending their knees and staying low to the ground when they have possession of the ball. Being low to the ground makes you explosive. If your defender reaches in to steal the basketball, you’ll be able to immediately explode past your opponent and attack the rim. Whereas if you were more upright, you’d first have to drop down before you could attack. Players need to push the basketball into the ground with force when they’re dribbling. Do this by extending the elbow and snapping their wrist at the bottom of the movement. The less time the basketball is out of your hands, the more control you have. If a player bounces the basketball without much force, the ball can easily be tapped away by a defender because of the time extra time it isn’t in the offensive player’s hands. 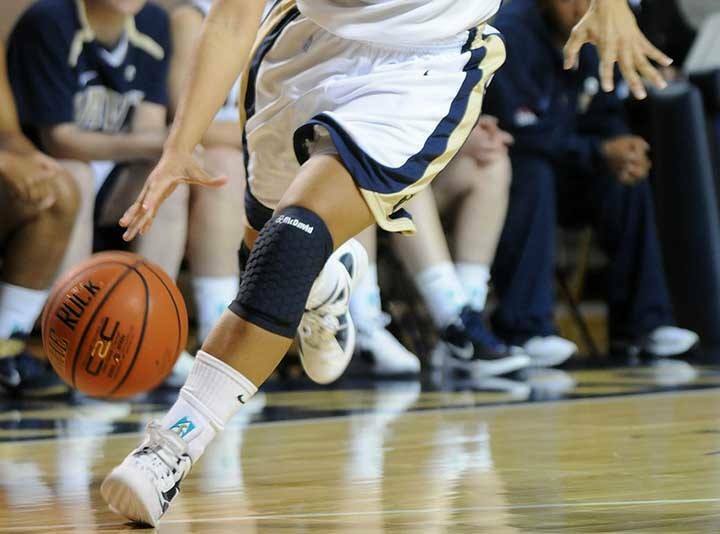 Players have to make sure they’re protecting the basketball when dribbling. This is known as an ‘arm bar’. An arm bar will hold off a defender who’s attempting to close down the space and will also deter defenders from reaching in and attempting to steal the basketball. But make sure to never push off with it. Turning your back / shoulder towards the on-ball defender will also provide protection. Defenders will have a difficult time reaching all the way around the dribbler’s body and tapping the ball away without fouling them. When first learning how to dribble a basketball, it’s natural for players to look down at the ball when they’re practicing. But as they improve, players need to be encourage to raise their eyes up and see the floor. When in game situations, this will allow them to read the defenders and their teammates to make the right passing decisions. Have you ever coached against a player who can only attack the rim using their dominant hand? They’re incredibly easy to stop. All a defender needs to do is overplay their dominant hand and the offensive player will either have to pass the ball to a teammate or they’ll attempt to drive and lose the ball. Which is why players must learn how to dribble equally well with both hands. When a player can do this, their opportunities immediately double. Mindless dribbling is something that’s becoming more and more common in today’s game. Players are putting the ball on the floor as soon as they receive it without having a smart reason for doing so. This is often leading to them wasting the dribble. On the Coaches Clipboard website, it’s written there are only six reasons to dribble. 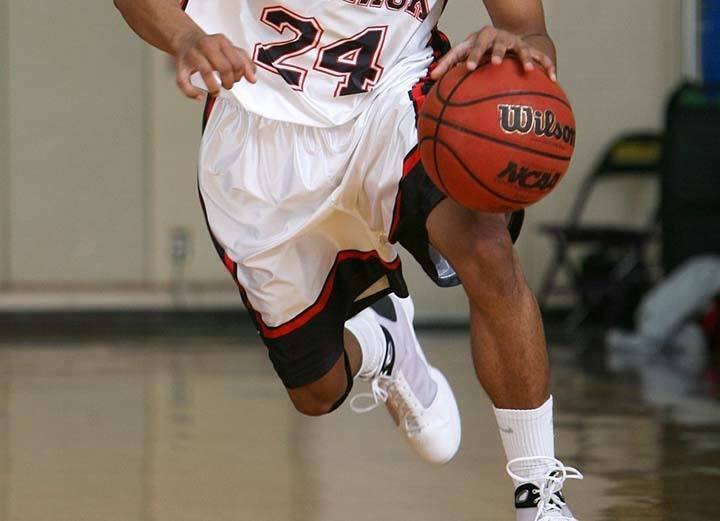 A player dribbles a basketball up and back in a small area performing different dribbling moves. At home, this area could be the driveway. At the gym, this area would be the full or half court. Learning the basics of how to dribble a basketball. This is a great way to introduce new dribbling movements to players without overwhelming them. 1. Get one basketball and line up on the baseline. 2. Dribble the full length of the court practicing a specific dribbling move while trying to keep your head up to see the floor. 3. Each time you get to an end and turn around, switch up the move your practicing. • Do your best to keep your eyes and head up throughout the drills to see the floor. • When performing the different dribbling moves, do your best to explode out of the move to practice getting past your opponent. • Go slow in the beginning and focus on technique before adding speed. This drill involves keeping a balloon in the air while simultaneously dribbling a basketball. When the balloon hits the floor, the player loses their score and starts back at zero. 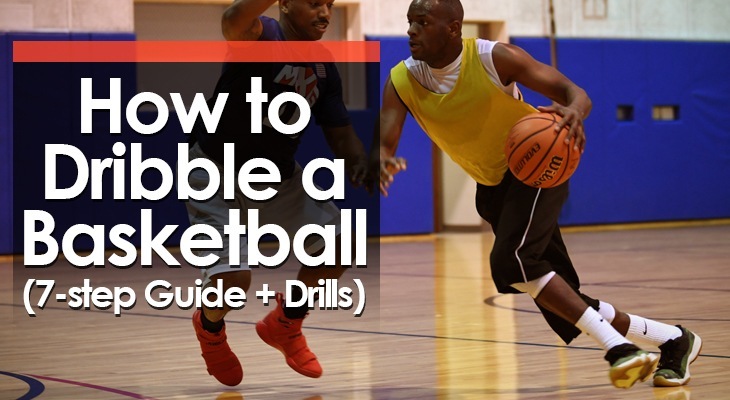 An incredibly fun drill designed to improve a player’s ability to control the basketball. The drill achieves this by forcing players to keep their eyes and focus on the balloon instead of the basketball. 1. Players begin by dribbling the basketball while holding a balloon. 2. When they’re ready, the player throws the balloon directly up into the air. 3. The player then continually taps the balloon into the air while keeping their dribble alive. 4. A player is out when they lose control of their basketball or their balloon hits the floor. Opposite Hand - Players are required to dribble the basketball in their non-dominant hand only. Change Hands - Players must switch which hand they’re tapping the basketball with each time they keep the balloon alive. 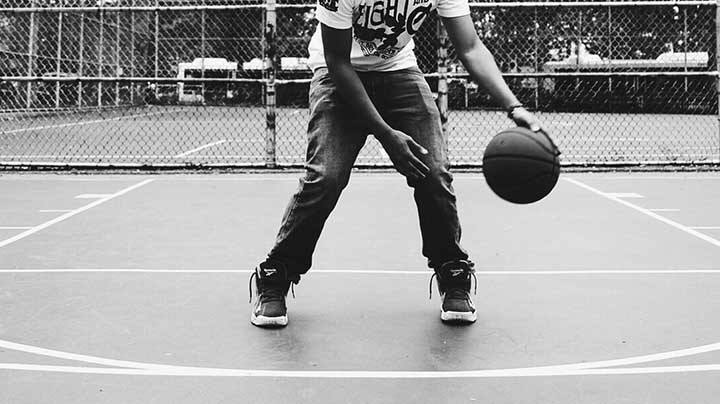 • Ensure you’re in a low stance while maintaining the dribble. The closer the basketball is to the ground the easier it will be to control. • Attempt to keep your eyes up and on the balloon at all times. A player gets a basketball and finds a small, flat area where they can dribble. They then perform a series of one and two-ball ball-handling drills. 1. The player starts by setting up a small timer (phone, iPad, clock, etc) to track the time spent on each dribbling drill. 2. Each drill should last 15 - 30 seconds depending on the level of the players and which drill the players are doing. 3. The entire set should last approximately 5 minutes. Below I’ve listed several one-ball and two-ball dribbling drills to use. If you’re looking for a bigger list, there are 50 dribbling moves here. • Attempt to keep your head and eyes up throughout the drill. • Get out of your comfort zone by pushing hard for the entire duration of each drill. Don’t worry if you mess up once or twice, that means you’re extending yourself! • Do these dribbling drills every day! ​Learning how to dribble a basketball at an advanced level can give you a huge advantage over the opposition and teammates you’re battling with for playing time. If used correctly, dribbling will allow you to get to any spot on the floor. This can set both you and your teammates up for high-percentage shots. Leading to more points score, more wins on the scoreboard, and more fun during games. So, get out there and improve your dribbling skills!